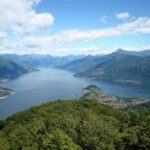 Hiking around Lake Como for 4 or 6 days with Elisabetta, UIMLA certified mountain leader, following a part of the beautiful “Via dei Monti Lariani” trail. 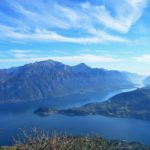 Join me in this 4 or 6-day tour of the mountains surrounding the south part of Lake Como and Switzerland. 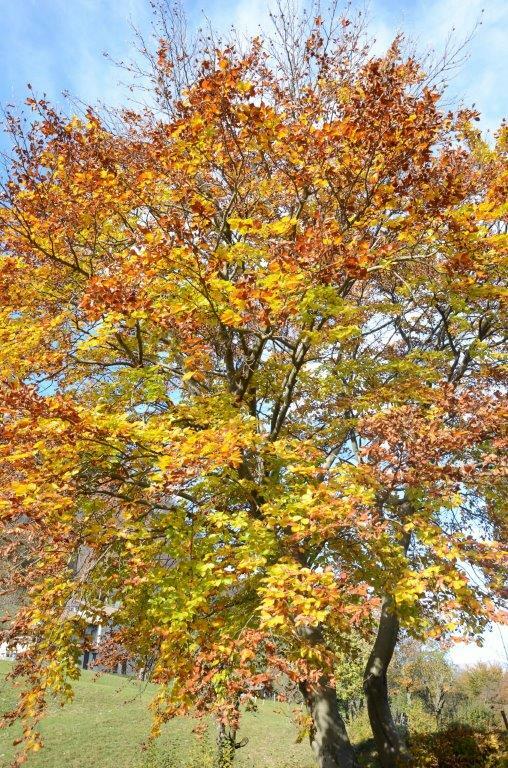 This hike will take us up and down woods and mountains. In fact, we will see some of the most famous places of the west arm of the Lake. Furthermore, the trip includes a short excursion to Switzerland. 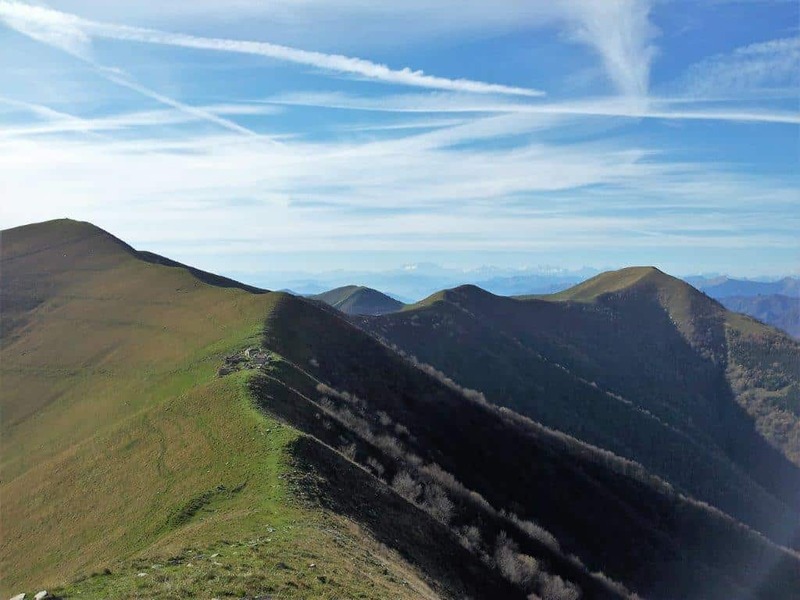 The route proposed by this trek follows a part of the “Via dei Monti Lariani” hiking trail. 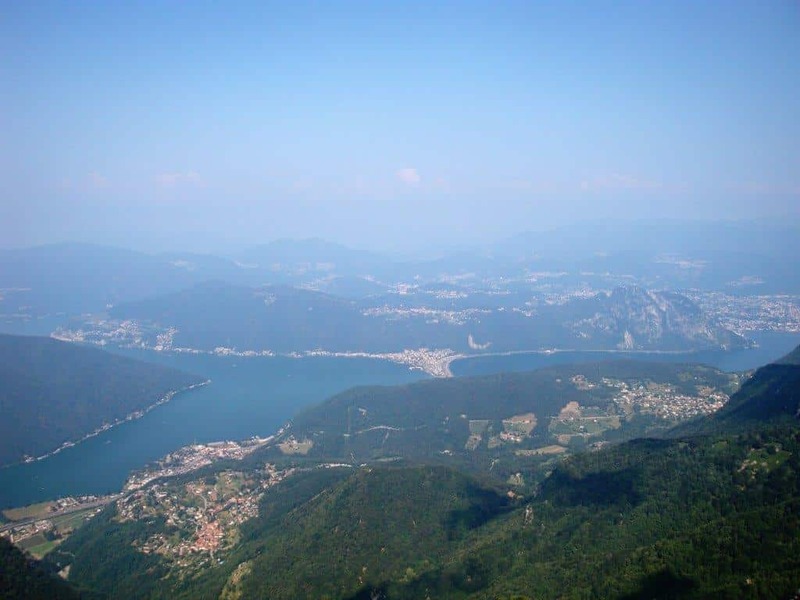 It is 125 km long and stretches out at an average altitude of 1000 m. It connects Como with the top of the Lake along the west side. 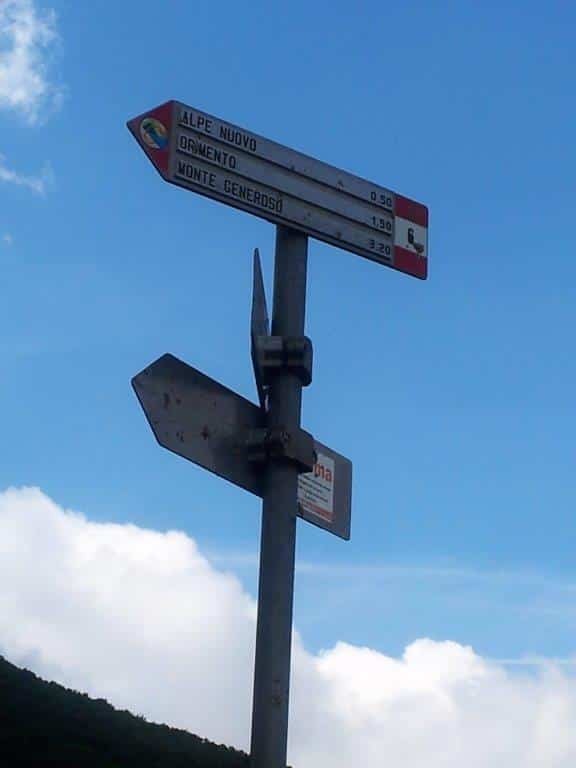 The original departure is generally from Cernobbio to the top of the lake but we will travel from North to South starting from Menaggio. In this way, we will have the opportunity to climb up some of the highest mountains. They are Mte di Tremezzo (1700 m) and Mte Galbiga (1968 m). In fact, from here we will have a wonderful 360° panorama. 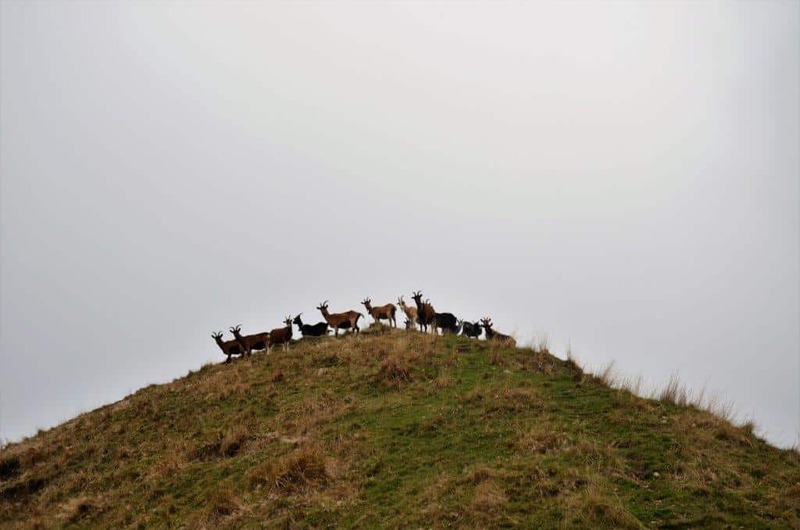 Besides, we will visit some historical places of the First World War like the trenches built up by Italians against the possible invasion of the Germans through Switzerland. 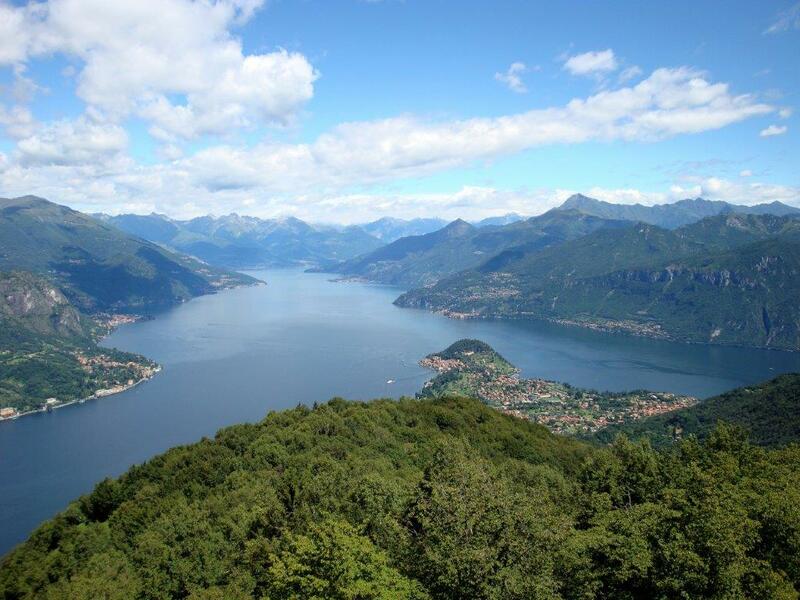 Then on the third day we will move to Switzerland, to the Italian speaking region Ticino. 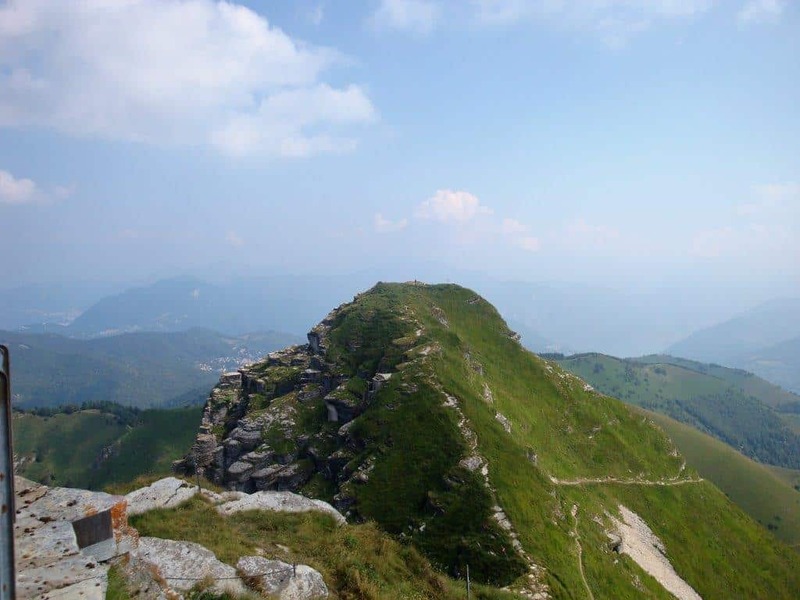 Here we will reach one the most famous mountain of this area: Mte Generoso (1701 m). Have a look at the daily itinerary below for more information about the destinations. 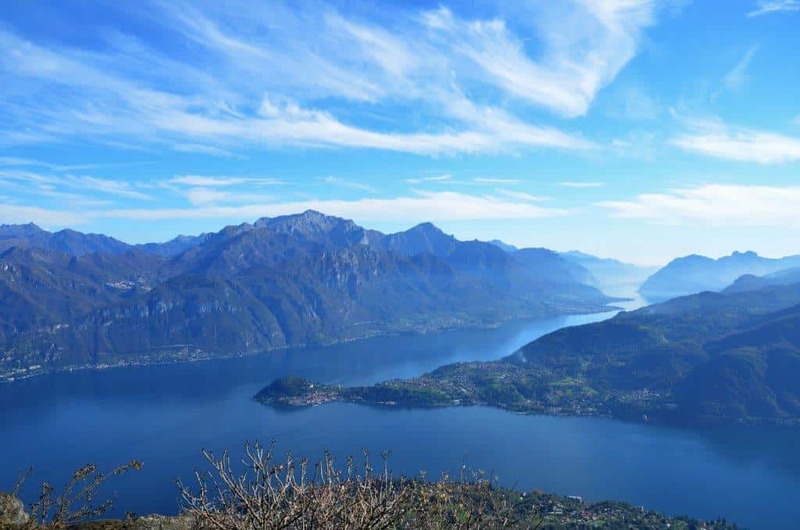 Furthermore, it’s possible to add other 2 days of trek starting from Como along the so called “Dorsale del Triangolo Lariano” trail visiting the famous village of Bellagio. 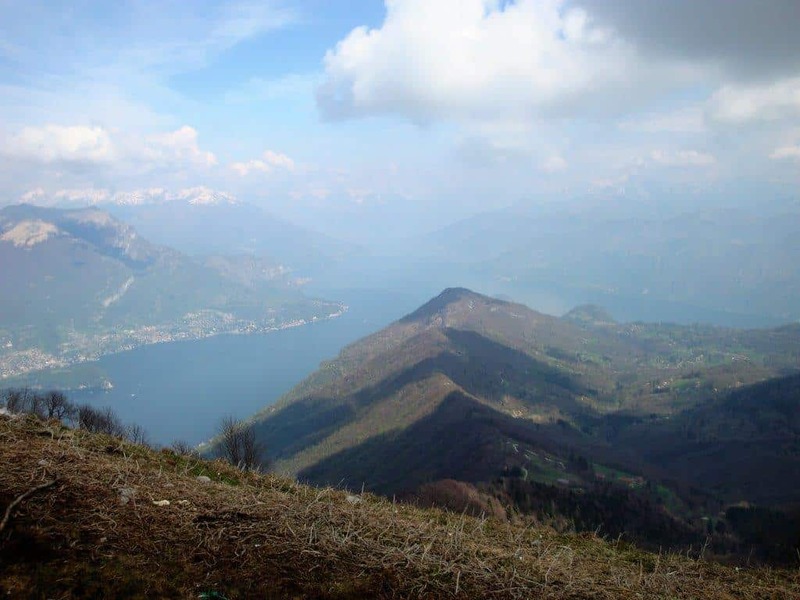 The “Dorsale del Triangolo Lariano” is an amazing two-day hike of around 30 km that connects Como to Bellagio. 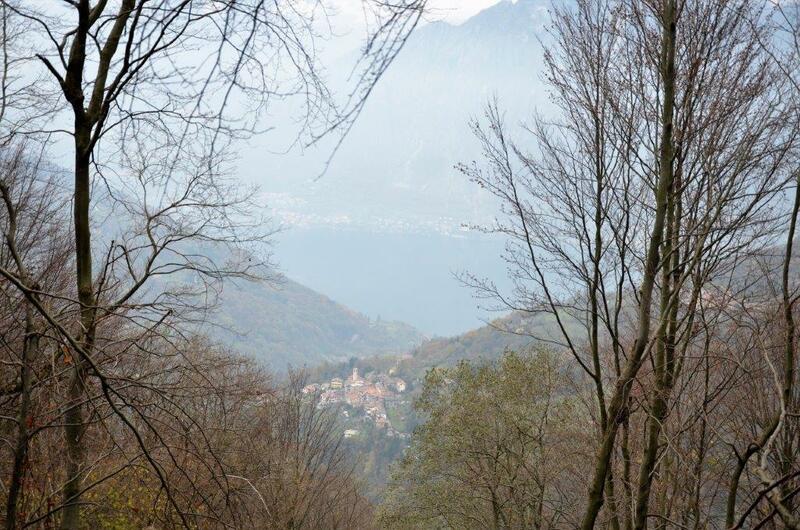 It runs on the ridge of the mountain at 1200 m from South to North going by the “Triangolo Lariano”. 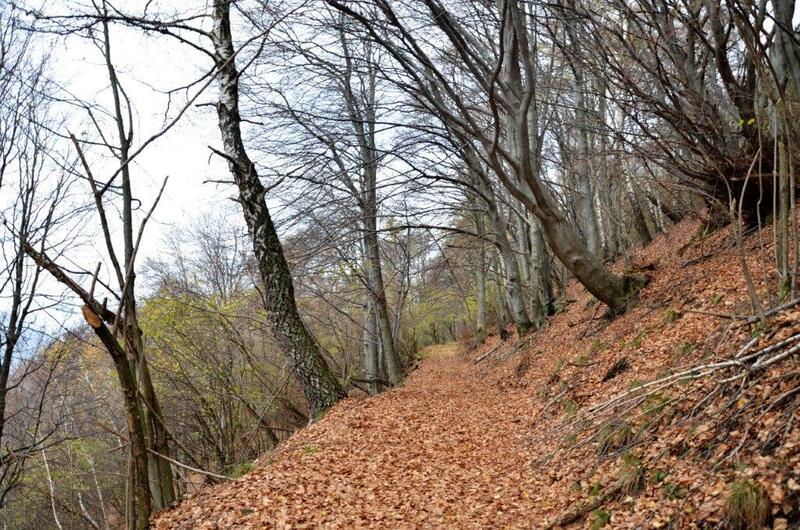 The walk is long but not demanding, the paths are fairly easy. 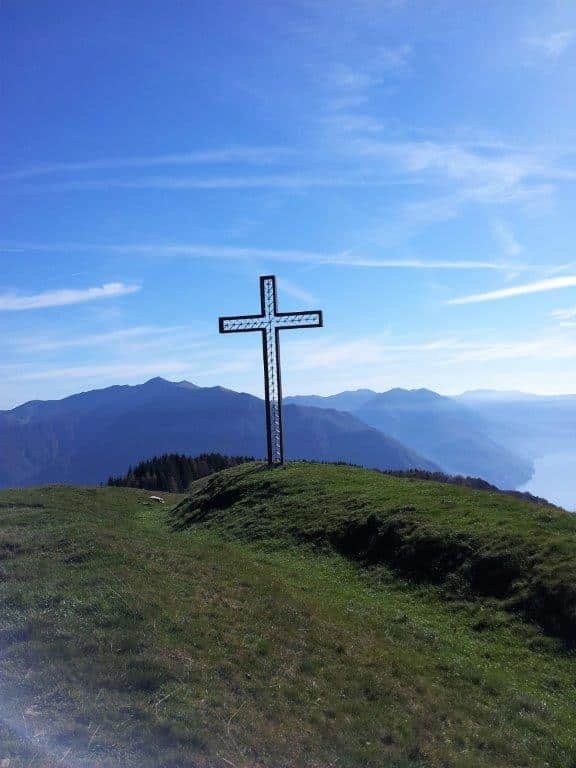 The second day, starting from Pian del Tivano, we climb up to the top of Monte San Primo (1682 m), the highest mountain in the area. All along the trek, we can enjoy the beautiful mountain landscapes. Moreover, approaching Bellagio we can see the unique shape of lake where the western and the eastern arms of the lake meet to form an inverted Y with the north arm. 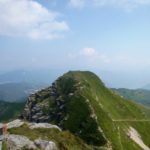 If you are planning to spend some days in this part of Italy, I strongly suggest this hike with its extension because of the history, tradition and spectacular panoramas. Please note that it is also possible to make the whole trail in fewer days: contact me for any information! 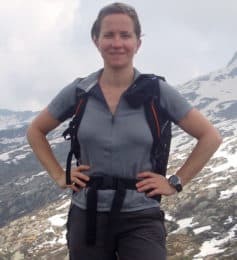 Summer is an ideal time for hiking trips in the Alps. 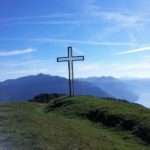 You can also have a look at this trek that I offer from Graubünden to Valais, in Switzerland. At Menaggio, close to the Tourist Office Piazza Garibaldi, approximately at 9AM. 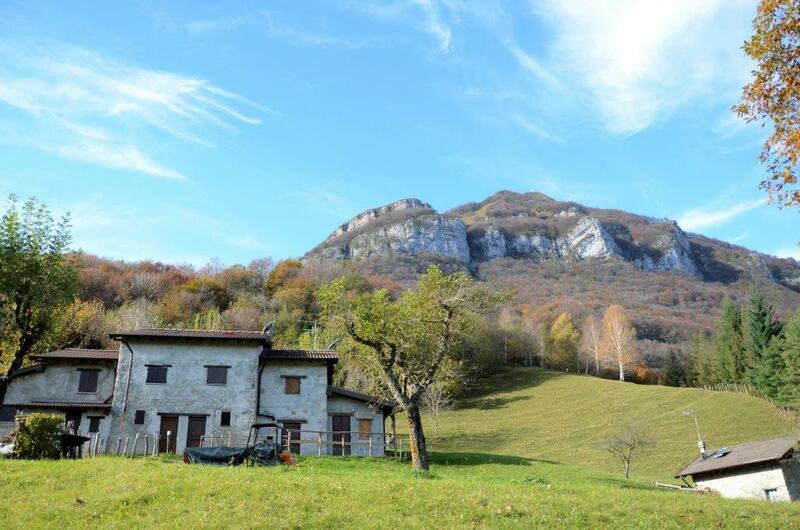 In mountain huts and B&B. Accommodations and meals are not included in the price. A sheet bag for the overnights in the huts is mandatory. 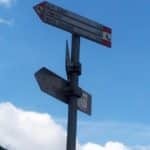 I strongly recommend poles in addition to the usual hiking equipment (boots, fleece, Goretex/Windstopper,..).